TriAttic - News: Race Week is here for many TRIATTIC Athletes! Race Week is here for many TRIATTIC Athletes! 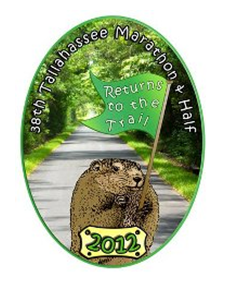 The weeks and months spent preparing for the upcoming Tallahassee Half Marathon and Marathon comes down to this final week. Race week will probably seem too easy for many athletes, it is very important to resist the urge to go hard. The race cannot be won this week but it can be lost. Best of Luck to all the TRIATTIC Athletes and friends racing this weekend. Triattic Half Marathoners: Brian Bazinet, Jo Curry, Bryan Desloge, Eric Godin, Karen Munoz, Laura Register, Melanie Rhodes, and Wayne Thumm. Look for TRIATTIC mile markers at mile 5 and 20 on the half and full marathon course. Date/Start Time: The race will start at 7:30 a.m. EST on the campus of Florida State University on Chieftan Way in front of the FSU Circus.